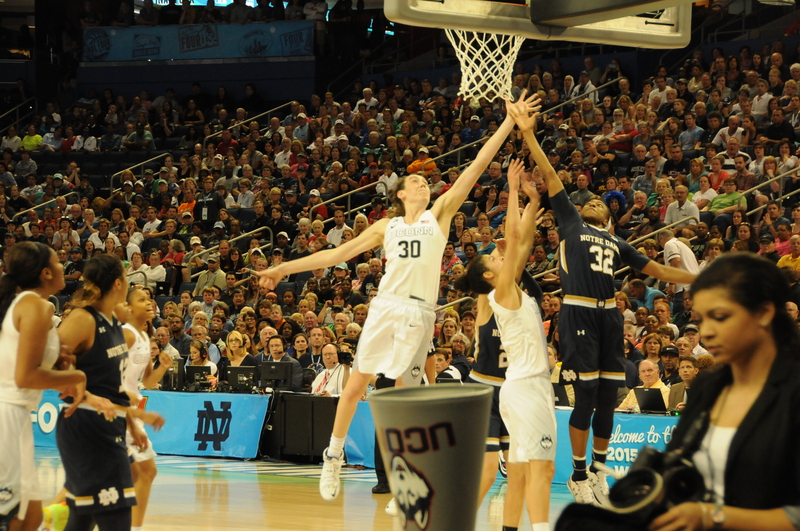 For every question that Notre Dame posed for UConn whether they were up to the task of defeating the Irish a second straight year in the National Championship game, the answer was emphatic. Yes. Although the Irish made the game much closer than anticipated, the Huskies were able to pull away in the second half, clinching their 3rd straight national championship by beating Notre Dame 63-53. Notre Dame played well enough to keep up with the Huskies for most of the game, getting the lead as close as four. But the Irish were never overcome a first half in which poor shot selection and execution led them shooting only 33% from the field. 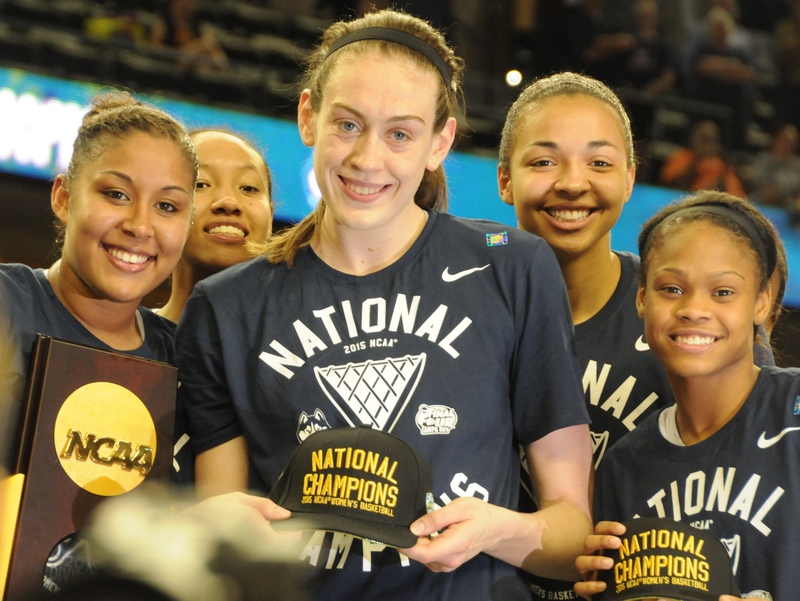 The Huskies were lead yet again by their AP Player of the Year Breanna Stewart, who was named the tournament’s Most Outstanding Player. Stewart joins Kareem Abdul-Jabbar as the only colligate players to win the award three times. 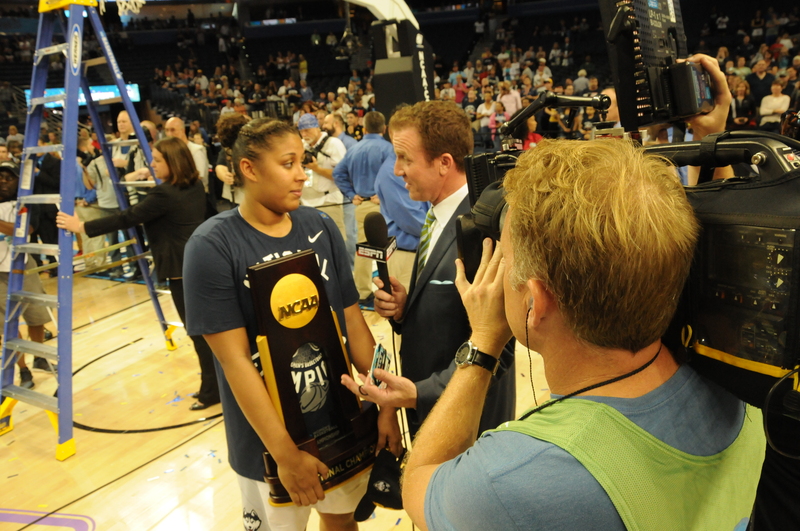 When she was made aware by the media in her post game interview, Stewart’s humility again proved to be just as impressive, if not more, than her MOP-winning performance. “I think that, it’s a cool feeling kind of thing. As I got on the stage, I thought Moriah should have gotten the MOP,” Stewart commented of her point guard, who still managed to win All-Tournament team honors. Unlike the semifinal game against Maryland where her offense set the tone to a 23- point victory, Stewart seemingly willed her team to victory with toughness and defense, leading the Huskies with 15 rebounds and four blocks after suffering an ankle injury in the first half. The win also puts Connecticut head coach in rarified air, tying UCLA coach John Wooden and Phil Jackson as the only basketball coaches collegiately or professionally with 10 titles. 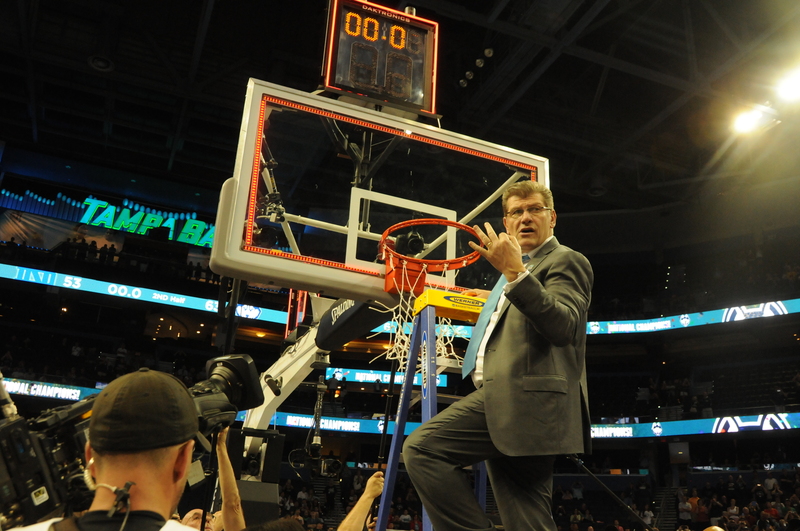 When asked to reflect on the accomplishment, Auriemma was quick to admire the women he has coached past and present. The win came in typical UConn fashion, with balanced scoring from all five starters coupled with timely shot making every time Notre Dame attempted to challenge the Huskies’ lead. Moriah Jefferson and Kalena Mosqueda-Lewis combined for five 3-pointers, all seeming to come in transition in key moments of the game, mainly after Notre Dame missed opportunities. 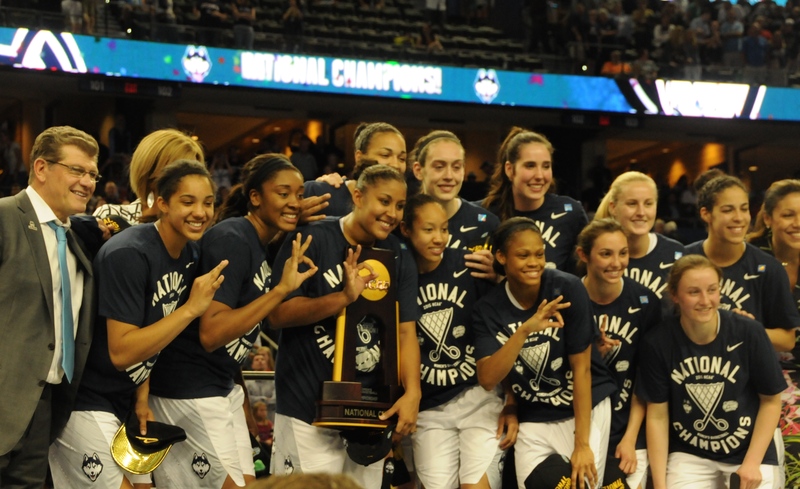 Appearing in their eighth consecutive Final Four, the UConn dynasty would have still been firmly in tact with a loss to a team as impressive as Notre Dame has been over the last five years. Maybe in a different era, these Irish could have been the team to beat. Unfortunately, this is the Auriemma Era, and as long as he is the one steering the ship, there is no telling how long the Huskies can sail in their sea of championships.